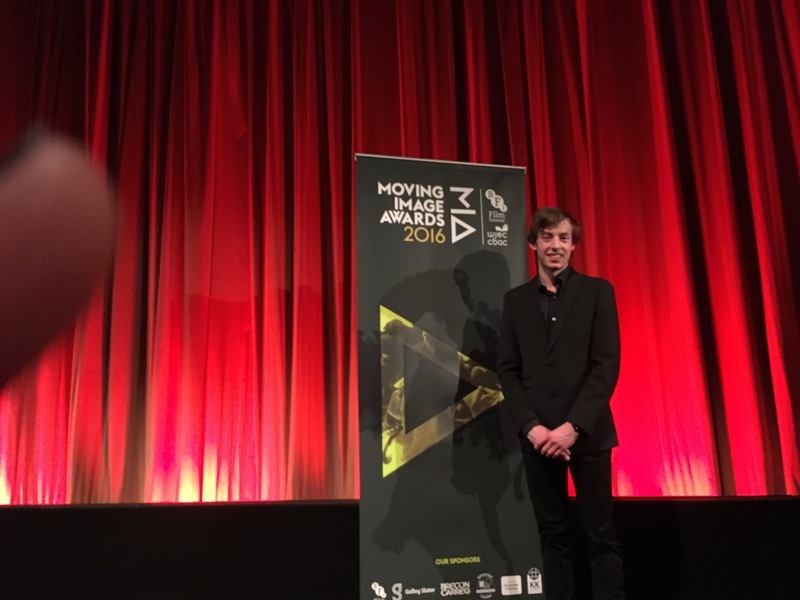 The work of former student Tom Simpson was honoured with a Special Mention at the WJEC’s Moving Image Awards in January. The film extract he produced for his A2 Film Studies coursework, entitled “Cold”, was selected from over 750 entries from candidates all over the UK. Tom made his film whilst studying for A Levels at PHHS last year. The Moving Image Awards are run by the WJEC exam board and are “designed in partnership with the British Film Institute, to recognise and reward the UK’s most talented young film-makers.” Tom’s work, along with that produced by other shortlisted and Special Mention students, was celebrated at a ceremony held at the British Film Institute in London. Among the guest speakers on the day was Alice Lowe, a successful British screenwriter and actor, whose talk inspired the young film-makers present. Tom and his family, together with Film Studies teachers Mrs. Lee and Ms. Maurice, were there on the day to share in and enjoy his fantastic achievement.